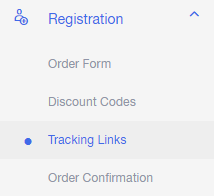 Our new tracking link feature for event ticketing lets you use trackable links when selling your tickets. You can use different links for different channels, or assign different links to different team members in order to see which channel or team member is selling the most tickets. Follow the instructions below to utilize our tracking links. 2. Select the "Create New Link" button. 3. Enter the name you would like to use for your tracking link, and click "Create." 4. 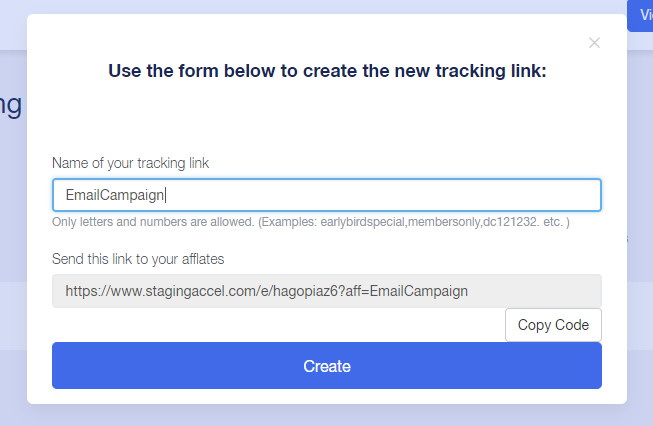 Include your new tracking link in an email, on your website, or send to a team member to be able to track the number of tickets and dollars generated by that channel!